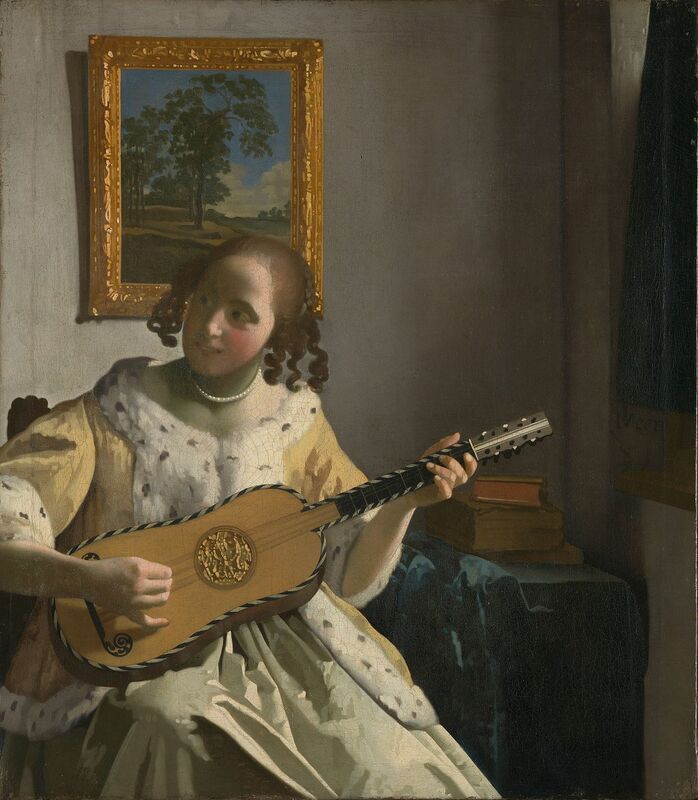 Early Music Now presents 1600s-era Spanish dance music that wowed France. La Poème Harmonique. Photo courtesy of Early Music Now. Early Music Now continues its 35th season hosting Le Poème Harmonique, a celebrated Baroque ensemble from France, this Saturday at St. Paul’s Episcopal Church. The concert, Danza! Spanish Dances in 17th-Century France, demonstrates how Spanish influences helped create a century of dance in France. Led by Artistic Director Vincent Dumestre, Le Poème Harmonique opens a window to a critical point in the development of Western classical music, when the energy of dance and engaging song moved from its origins in Spain to France, then on to the rest of Europe. When Louis XIII married the Spanish Infanta Anne of Austria in 1615, he not only infused the royal line with Spanish blood through his son Louis XIV, he also brought folias, sarabandas, españolas and españoletas north of the Pyrenees. A key evangelist for the Spanish Baroque guitar, Luis de Briceño appears to have been responsible for the introduction of the five-course guitar into France. His instructional writings and his compositions for song and dance helped to popularize the style following an era of more reserved French music. The French were more timid with their love songs, while the poets and singers of Spain were more frank about love, betrayal and drama: “Weep, weep, my eyes, ah for your pains! Pay in tears, and with interest” or “Where shall a poor wretch find refuge? if even snow is burning with fire?” The rhythms of the French Suites of late Baroque derived directly from Spanish dance. Spanish Baroque Guitar – Painting by Johannes Vemeer. Photo is in the Public Domain. Le Poème Harmonique will recreate a concert likely to have been heard in the Versailles court of King Louis XIII circa 1620. The ensemble seeks authentic sounds. Early Music Now audiences have learned to appreciate the unique timbre of the viola da gamba. 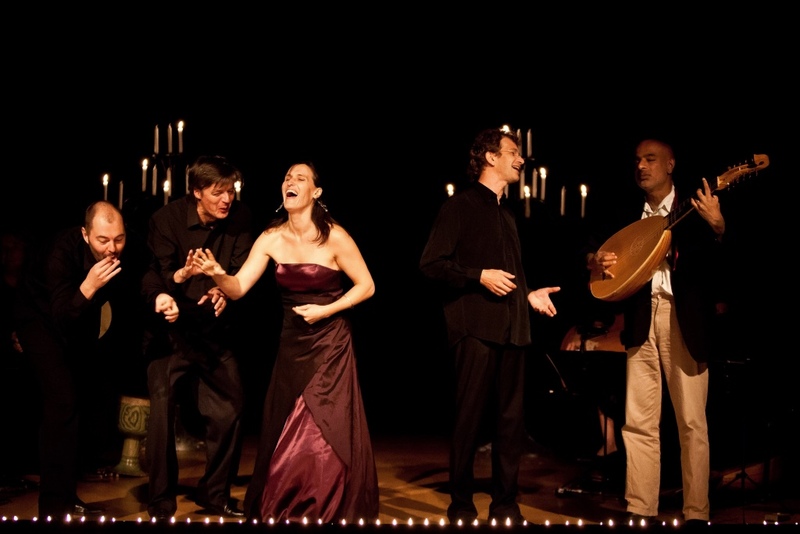 Baroque chamber ensembles often included classical guitars as well. Each was later replaced by louder instruments more appropriate for concert halls. The nine or 10 strings of the 17th century five-course baroque guitar are paired and tuned to five pitches. As with the viola da gamba, this guitar produces a subtle resonance ideal for intimate settings. The unique quality of the sound of this ensemble can be appreciated by checking out these YouTube samples of lively Spanish song and more intimate ones. The Early Music Now concert starts early enough in the evening to allow participants to fit in another event the same night. A pre-concert lecture will begin at 4:00 p.m. The “Danza!” concert begins at 5:00 p.m. Saturday, November 11. St. Paul’s Episcopal Church is located downtown at 914 E. Knapp St., at the corner of Broadway and Juneau. Parking is available on the street, and in the Lincoln High School of the Arts parking lot across the street from the church. Tickets may be purchased online or at 414-225-3113. A substantial savings is available through season tickets, although the premium Tier 1 seats are no longer available. Early Music Now’s next concert after this one is the Christmas concert, on December 9 and 10, which will feature one of America’s preeminent early music ensemble, the Boston Camerata. They will be joined by SHARQ Arabic Music Ensemble for a program of music from the various coastal areas around the Mediterranean, spanning more than 700 years, all inspired by both traditional and unusual aspects of the Christmas story. The dichotomy between the Arab and Western worlds dissolves in A Mediterranean Christmas.